Florida public officials who are backing Enriquez for House District 114. The Javier Enriquez Campaign today announced the endorsement of former State Senator Miguel Diaz de la Portilla. 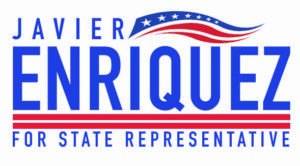 Enriquez, a Republican, is running for the Florida House in District 114. Díaz de la Portilla’s support comes on the heels of recent endorsements for Enriquez from Lt. Governor Carlos Lopez-Cantera, Congressman Carlos Curbelo, former Congressman Lincoln Diaz-Balart, and State Representative Manny Diaz. Díaz de la Portilla served in the Florida Senate from 2010 to 2016. Previously, he served on the Miami-Dade County Commission from 1993 to 2000. He is an attorney who, like Enriquez, earned his bachelor’s and law degrees from the University of Miami. Enriquez has also earned the support of Coral Gables Mayor Raul Valdés-Fauli, the Florida State Lodge Fraternal Order of Police, Florida Right to Life, and Associated Builders and Contractors Florida East Coast Chapter.